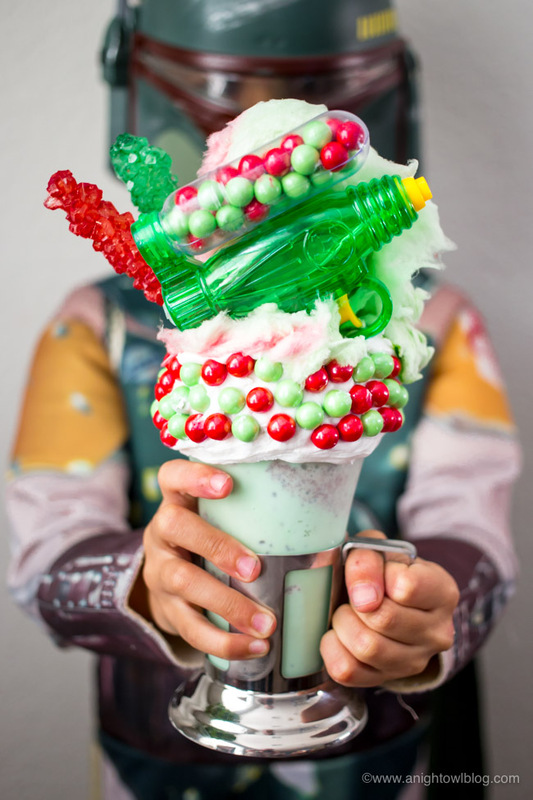 Inspired by Black Tap Freakshakes, whip up this fun Star Wars Boba Fett Freakshake, perfect for Mandalorian fans! Hi friends! 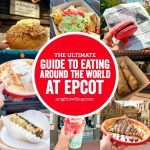 Have you heard of Black Tap Freakshakes? 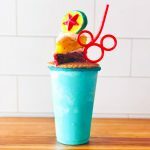 Basically made popular via viral social media, Black Tap Craft Burgers & Beer whip up some of the freakiest milkshakes around, complete with candy, cakes, cookies and more! We’ve created a few freakshakes here on the blog because well, they’re just so much fun. And with Disney’s Star Wars land, Galaxy’s Edge, opening at Disneyland and Walt Disney World this year, what better theme than STAR WARS! I was conflicted because I have fans of different Star Wars characters in my home, but probably the strongest fan is my middle child, who is obsessed with Boba Fett. So, Boba Fett it is. The base milkshake is pretty basic, three scoops of mint chocolate chip ice cream (you want to get the kind that is tinted green…), a cup of milk and a handful of ice. You may have to adjust milk and ice a bit depending on your blender. Simply blend these ingredients until you have a thick milkshake consistency. 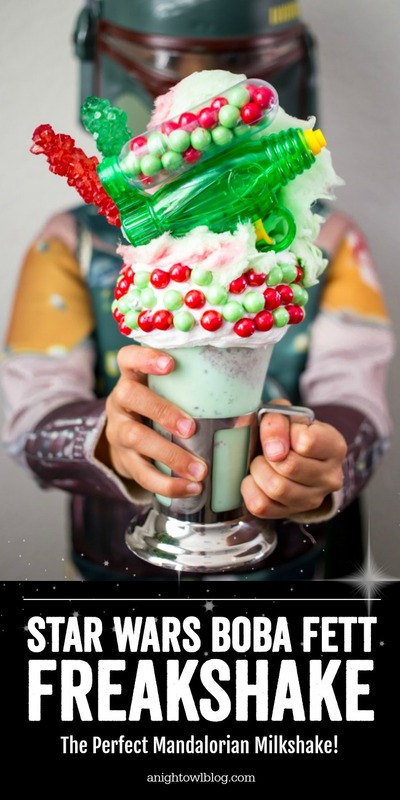 While you’re whipping up the milkshake, coat the outer top of your milkshake glass with white icing then cover with green and red chocolate pearls. Make sure all pearls stick to the cup and place into the refrigerator for a minute to harden. 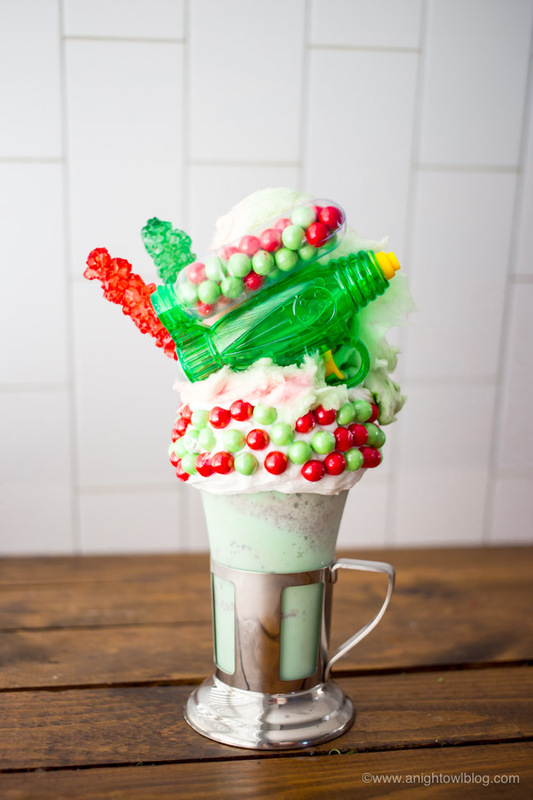 Once the icing has hardened, pour the finished milkshake into your cup, top with cotton candy and candy gun and garnish with rock candy. And there you have it! Ninja Blender: This is my FAVORITE blender to date! 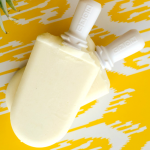 Whips up great milkshakes with it’s easy breezy drink attachment. Black Tap Milkshake Mugs: These vintage soda fountain mugs are the CUTEST! I just had to get my hands on them for fun freakshakes at home; and they’re plastic so no worries about breaking! 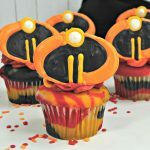 Boba Fett Costume: No Mandalorian milkshake is complete without a Boba Fett costume! Simply blend these ingredients until you have a thick milkshake consistency. 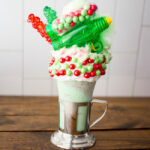 While you're whipping up the milkshake, coat the outer top of your milkshake glass with white icing then cover with green and red chocolate pearls. Make sure all pearls stick to the cup and place into the refrigerator for a minute to harden. 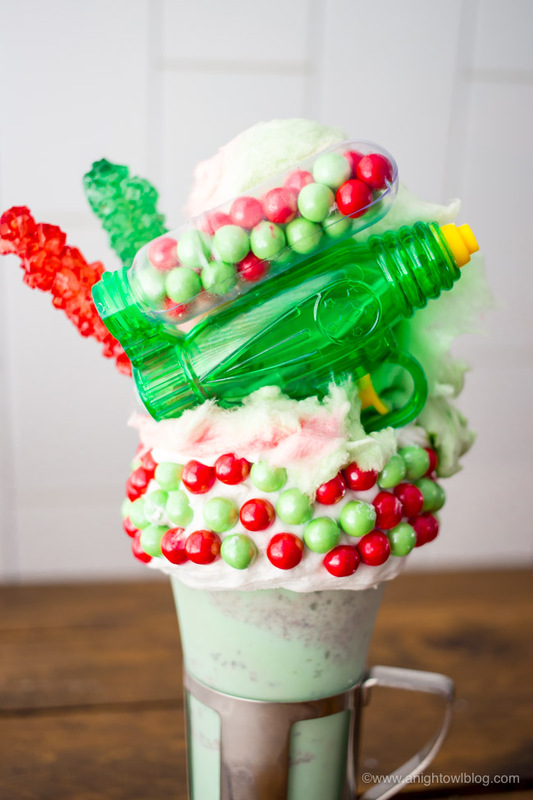 Once the icing has hardened, pour the finished milkshake into your cup, top with cotton candy and candy gun and garnish with rock candy.